Washington, D.C., Aug. 25, 2009 –The Washington International Horse Show (WIHS), a leading national equestrian event based in Washington, D.C., since 1958, is proud to announce the appointment of Eric L. Straus as the Chief Executive Officer. Straus joins the executive leadership of WIHS--Juliet W. Reid, President, and Anthony F. Hitchcock, Chief Operating Officer--as the show prepares for its 51st edition in October. “I'm excited about joining the Washington International Horse Show, a championship event rich in equestrian tradition with an economic impact in Washington, D.C., exceeding seven million dollars. I look forward to becoming part of the team building for the future,” said Straus. Straus comes to WIHS with proven expertise in both for-profit and not-for-profit environments. Straus also brings unique experience in the sports entertainment industry including equestrian competitions, Olympic events, marketing, operations, sponsorship development and financial operations. “His diverse professional experience is an important asset to us as is his knowledge of the equestrian world. I feel he is the perfect person to help lead us in into the next 50 years,” said Reid. Most recently Straus served as Senior Vice President for The Clark Estates, Inc., New York, NY, a family office whose clients include the National Baseball Hall of Fame and Museum, Fenimore Art Museum, The Farmers’ Museum, Mary Imogene Bassett Hospital and The Otesaga Hotel and Resort among other properties. On the equestrian side, Straus has extensive experience as a organizer of hunter, jumper, dressage and combined training competitions. He is an active licensed official serving as a USEF judge, steward and FEI show jumping steward. Straus is the FEI Honorary Chief Steward General for Reining and has officiated at the World Equestrian Games (WEG) in 2002 and 2006, and will serve in the same position at the upcoming WEG in Lexington, KY, in 2010. He was Chief Judge for Modern Pentathlon at the 1996 Olympic Games and the 1987 Pan American Games. Straus is a Trustee and Executive Committee member of the American Horse Council in Washington, D.C., and is Secretary and Executive Committee member of the U.S. Equestrian Team Foundation. 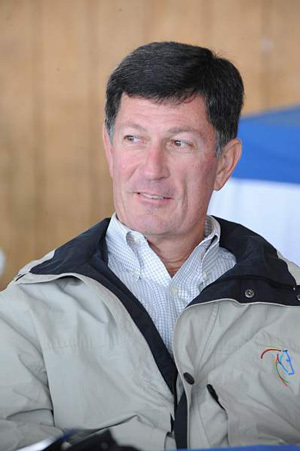 He also served as Executive Director of the American Horse Shows Association (now USEF) in 1996-1997. Having served as Chief Executive Officer in turnaround situations and created marketing strategies leading to improved financial performance, Straus will look to increase awareness, audience and sponsorship for the show. “Eric brings a wealth of knowledge both in business and equestrian events and we look forward to his new perspective and leadership,” said Hitchcock. 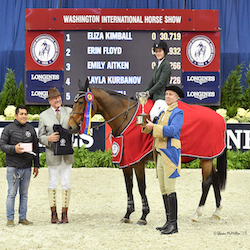 Washington International Horse Show Association, Ltd. is a 501(c) (3) non-profit charitable organization. The 51st WIHS will be held Oct. 20-25, 2009, at Verizon Center in Washington, D.C.